Corinne Oestreich is a professional journalist who has been writing for Powwows.com since 2014. 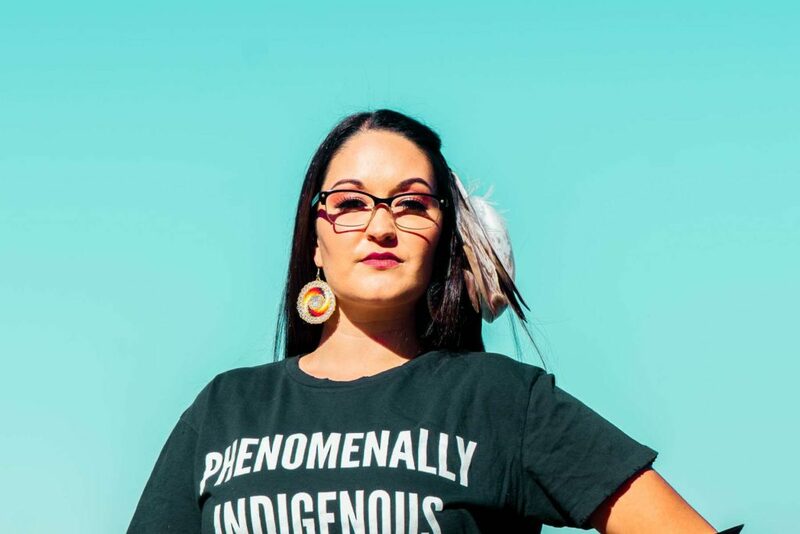 She is Lakota and Mohawk, and is an ambassador for the internet campaign #phenomenalwoman and #phenomenallyindigenous. Corrine is also the founder of the non-profit organization "The Buffalo Project”, a program that seeks to reduce human trafficking and violence against women through empowering men to embrace healthy emotional behavior through Indigenous values. In this episode, Corinne shares her personal story of reclaiming Thanksgiving, and reconciling the pain and anger that that holiday has caused her and her family. She talks about healing, about the importance of buying art and clothes directly from Native people instead of "native inspired companies," and those of us who are not Indigenous can act in allyship to Native communities. Corinne also shares about her experience as a surrogate—what she's learned, why it feels like a spiritual calling for her, as well as her personal experience with miscarriage. This entire conversation is honest and thoughtful, and it was such a pleasure for me to get to know Corinne. I hope you enjoy getting to know her, too!